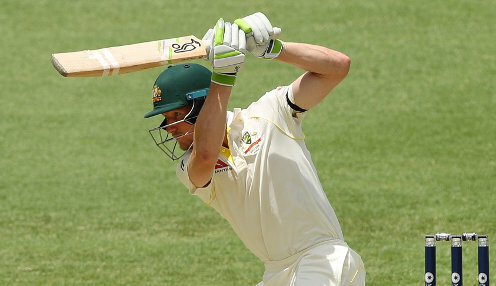 Cameron Bancroft improved his prospects of a place in Australia's side for the Ashes series with another impressive innings for Western Australia. Bancroft, who lost his place in the side through suspension, came close to carrying his bat for the second time in WA's Sheffield Shield match with NSW. He had hit an unbeaten 138 in his first first-class innings of the year at Bankstown and batted for 89 overs in the second innings. Bancroft was finally dismissed for 86 by Steve O'Keefe, with WA going on to lose by an innings and 51 runs. O'Keefe, whose nine wickets for the match included his 200th first-class scalp for NSW, said Bancroft was "pure class" as a batter. "He was playing for Australia not long ago and I think that was pretty evident, to be honest. Mentally it's tough to even come back but to then apply yourself like that I really do tip the cap to him," said the spinner, who finished with 5-52. Marcus Harris was another of the contenders to open the batting for Australia in the Ashes series to impress. He blasted a stirring 174 from 197 balls as Victoria consolidated their spot at the top of the Shield ladder by chasing down 300 in two sessions to beat Queensland. Harris, who made 95 in the first innings, got his team to within eight runs of victory after they had at one stage been 110-4. He got a life on 77 when Jimmy Peirson missed a stumping and there was another near-miss on 147 when he edged Mark Steketee to gully. Australia are 7/4 to win the Ashes series and 4/1 to win the 2019 Cricket World Cup.